I am happy to introduce my very 1st guest blogger, Brian Misinale. 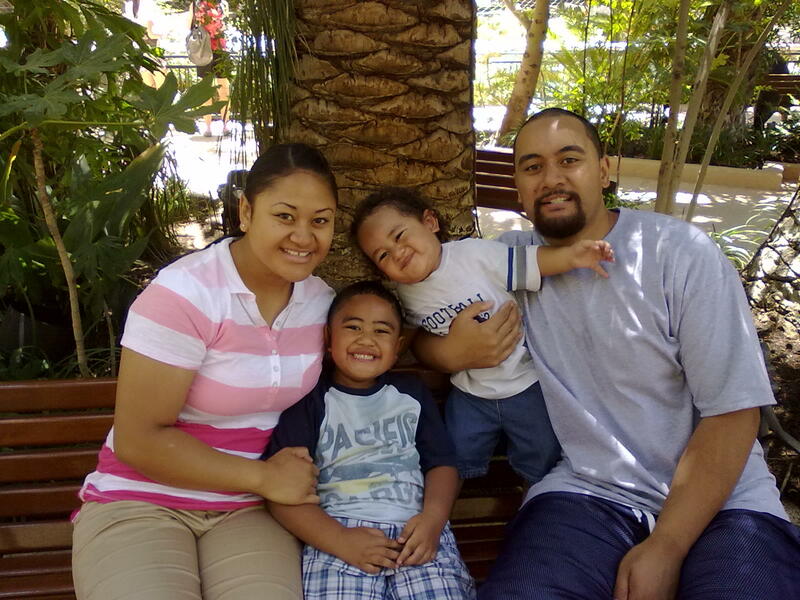 He is of Tongan ethnicity, born and raised in Salt Lake City, Utah, U.S.A. He is also my first cousin. 🙂 He writes beautiful poetry and he also writes and creates music. In 2009, Brian had inspired me to set up my very first poetry blog. My first blog gave me an opportunity to share some of my poetry with family and friends online. It has been a few years since then but as I reflect on it, I am utterly grateful to Brian for his words of encouragement in my endeavours to write and share my poetry work in a public forum. In turn, this new poetry and prose blog has been created to include the works of other poets, authors and artists. I would like to take this opportunity to acknowledge Brian for his ongoing support with my work. I am truly grateful! I would like to thank Maryanne for inviting me to be her first guest blogger. I am honored to be part of your blog sis! I think it goes both ways, we both keep each other motivated to push forward with the talents God has given us. Thank you for this opportunity to share a little bit about myself and my love for poetry. I first started writing poetry about 13 years ago in the year of 1999. To sum it all up, my twin brother was diagnosed with osteosarcoma which is bone cancer when we were young children. In 1999, when my twin brother and I were only 16 years of age, he passed away from cancer. In losing my twin brother, I felt lonely and I experienced feelings of depression. In that same year, I started writing in a sketch book which I had and I soon learned that writing my feelings in poems was very therapeutic for me. I believe to this day, that with the help of God and poetry, I overcame my feelings of depression. Here is a photo of my beautiful wife Sela and our two sons, Daniel (named after my late twin brother) and Jayden, during a visit to Las Vegas. They mean the world to me. Poetry is my passion now. The main themes in my poetry work are mainly based on life situations. Depending on how I feel, that is what I write about. If I see woman being mistreated, I write about that. If I see destruction around the world from drugs and war, I write about that. Also, I have grown to learn how to write from other peoples perspectives. I am also writing music. I believe music is a glorified version of poetry. So you can only imagine what making music does for me now. http://allpoetry.com/bRimiS is where I post all the poems I write fresh from my mind. I also had a blog from a few years ago and slowly closed that one down. I now started a new blog which features my poetry as well as my music. You can find it at www.mrbrimis.blogspot.com. Also in a few weeks I will start posting my music on my facebook under the name bRimiS. So I invite you all to visit these links. My soul whispers to care. To love… do I dare? My heart begins to tremble. Heart is full of guile. My soul has been defeated. So hard for me to smile. My heart has pulled me through. My soul has been revived. led me to brighter days. I stood there all amazed! My only advice to anyone planning to pursue a path in poetry is to be yourself. Write about what you truly believe, and people will feel the emotion in your work. God bless! Thank you to Brian for sharing this poem and thoughts. Thank you to Maryann your having your brother guest blog- great idea. I love to read poetry but have never (yet) been able to write it. All things in their time…..
Well done. Nice advice at the end – it softened my “hard” heart…. And a great idea! Thanks for stopping by and for sharing your thoughts. Brian will be happy to know that his post has moved you 🙂 I appreciate your kind words, thank you. Thank you for stopping by. It’s always great to hear from you. Have a wonderful week. Thank you for you for visiting and for sharing your kind words with us. Please click on the link to see the rules to claim the award. I am honoured to be nominated for the Versatile Blogger award. I am grateful to your for including me in the list of nominees. Thank you so much.